Denise lives on Oahu and leads our Patient Care Coordinator team for all islands. She has 5 years of customer service experience in the retail industry. Denise graduated from Hawaii Medical College with her Health Administration Billing and Coding certification. Denise was born and raised in Mililani and enjoys spending her spare time with her son, family, and friends. "Hearing is not only a state of mind, it is a way of life." Liz is our Patient Care Coordinator for our Maui office. She has lived on Maui for over 30 years. Liz is a licensed massage therapist, has over 12 years of customer service experience, and 2+ years of experience in office administration. Liz enjoys spending time outdoors exploring the island with her family and friends. 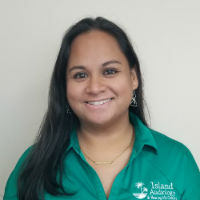 Raia is our Patient Care Coordinator for our Kona office. She was born and raised on the Big Island. Raia has 9+ years of Certified Nurse Assistant experience, and 3+ years customer service experience. In her free time, Raia enjoys hiking and going to the beach with family, friends and her fur babies. Based on Oahu, Gil is our Strategic Engagement Manager for all offices. He is a retired disabled Veteran with more than fifteen years of service in the military healthcare system. He graduated from Hawaii Medical College with his Health Administration Billing and Coding Certification. Gil is also currently a student at Hawaii Pacific University majoring in Applied Science in Biochemistry. He is very family oriented and loves to spend time teaching his kids about the environment and to appreciate the beauty of nature. Gil is a very optimistic and cheerful person who loves to cook and enjoys doing photography in his spare time. "I am a firm believer that quality of life has nothing to do with wealth and status; It is about how we connect to the people we care most about. Our sense of hearing is a vital part of our lifestyle because it is where we connect with people and our surroundings. Losing our sense of hearing is one great factor that creates a disconnect within our surroundings and especially on how we communicate with others." 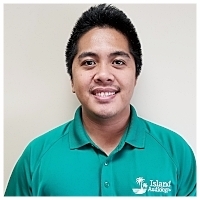 Located on Oahu, Chris is our Assistant Practice Manager for all offices. He has 10 years of experience in customer service and management in the entertainment industry. He graduated from Hawaii Medical College with his Health Administration Billing and Coding certification. Chris was born and raised in Honolulu and he enjoys playing musical instruments (guitar & drums) in his spare time. "Passion drives the heart to do wondrous things and growing up with hearing impairment inspires me to help our patients receive the quality of care they deserve. " Daphnie is based in Honolulu and serves as Practice Manager for all offices. She has 15+ years of experience in office administration and medical billing. Daphnie was raised in Honolulu and is fluent in Tagalog. In her spare time, she enjoys camping with her husband, son, and fur baby. She also enjoys being a sports mom and watching her son's singing & guitar recitals. "As a mom, one of the best things in my life is hearing my son say, 'I love you, Mommy'. His voice is music to my ears, and I can't imagine life without it. I am grateful to be part of a team that is devoted to helping each patient hear better and live better."